Options available for purchase include 40-coin rolls and 100-coin bags. 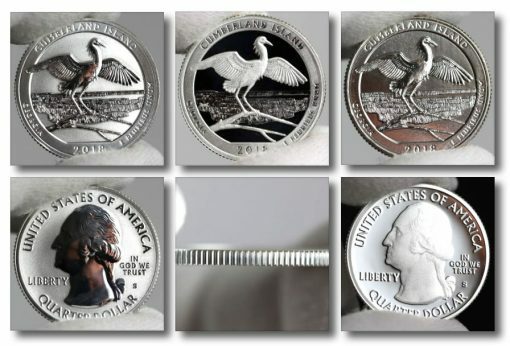 All the quarters are produced to circulation quality at U.S. Mint facilities in Philadelphia, Denver or San Francisco. Cumberland Island National Seashore was established on October 23, 1972. It preserves a majority of Cumberland Island, the largest and southernmost barrier island in the state of Georgia. Cumberland Island Wilderness is part of the seashore. Congress designated it a wilderness area on September 8, 1982. Visitors to the seashore must arrive by boat or ferry. Once there, recreational opportunities include activities like camping, biking, hiking, swimming, and fishing. U.S. Mint Artistic Infusion Program Artist Donna Weaver created the image and former U.S. Mint Sculptor-Engraver Don Everhart sculpted it. In the following U.S. Mint video, Everhart talks briefly about his work on the quarter. Issued under the Mint’s America the Beautiful Quarters® Program, the obverse (heads side) contains the same portrait of George Washington as seen on other series coins. The effigy was originally created by John Flanagan for the 1932 circulating quarter dollar. It has appeared on quarters, with some minor changes, ever since. Inscriptions around the portrait include "UNITED STATES OF AMERICA," "LIBERTY," "IN GOD WE TRUST," and "QUARTER DOLLAR." Also found on the obverse is a mintmark of ‘P,’ ‘D,’ or ‘S’ for the place of production — Philadelphia, Denver or San Francisco. As the chart indicates, buyers may choose from coins produced in Philadelphia, Denver or San Francisco. All are issued in circulation quality. Coins of this nature are actually in change, but only from Denver or Philadelphia which produces the nation’s circulating coinage. The San Francisco quarters are only issued for numismatic purposes such as these bags and rolls. 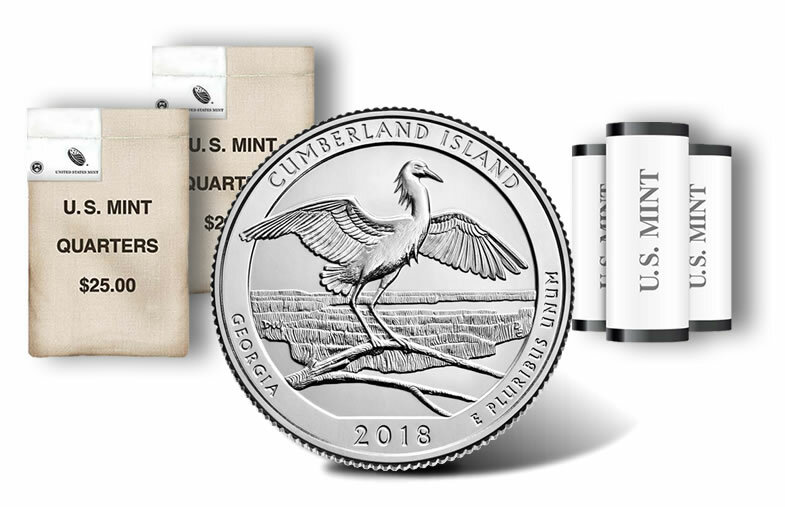 The U.S. Mint’s online store for America the Beautiful quarter dollars, located here, can be used to purchase the new coins. They may also be ordered by calling the U.S. Mint at 1-800-USA-MINT (872-6468). 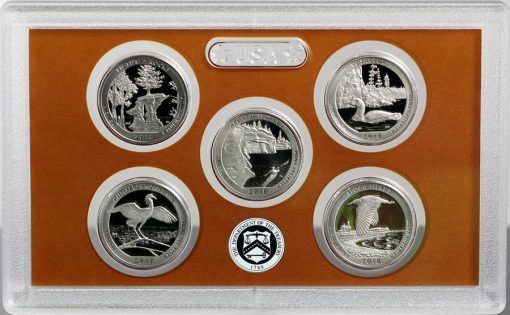 As part of this issue, the U.S. Mint is hosting an official quarter release ceremony. The event is to be held on Thursday, August 30th at 10 a.m. (ET). The venue is Camden County High School Auditorium, 6300 Laurel Island Parkway, Kingsland, GA 31548. Attendees of the ceremony will be given an opportunity to exchange cash for rolls of the new quarter. The previous evening, from 6 p.m. to 7 p.m., the U.S. Mint will also be hosting a coin forum where guests may ask questions of Mint officials. The forum will be hosted at the Howard Gilman Waterfront Park, Amphitheater Stage, 120 St. Marys Street, St. Marys, GA 31558. The series debuted in 2010 and features five new releases annually, each honoring a different site of national interest. One site was chosen from each state, the District of Columbia and the five U.S. territories for inclusion in the series which is scheduled to end in 2021. Associated with the quarters are large silver coins bearing the same basic designs. These coins are produced from five ounces of .999 fine silver to a diameter of 3 inches and include bullion and uncirculated versions. The bullion coins are sold through the Mint’s network of authorized purchasers. They may be purchased from coin and precious metal dealers for a small premium above the melt value of each. 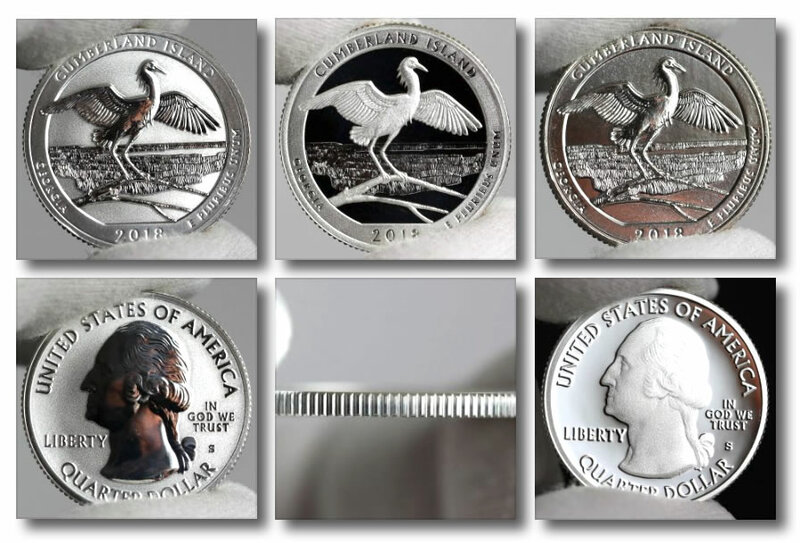 As for the uncirculated coins, they are sold directly to the public by the U.S. Mint. 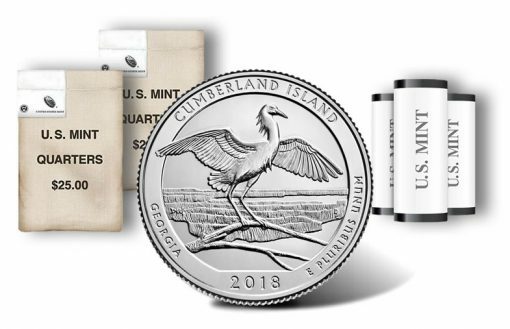 The Cumberland Island Five Ounce Silver Uncirculated Coin will debut in three days on Thursday, August 30, for $154.95.